Looking for the best place in Norfolk to hire a Marquee? Are you thinking of next Summer’s event? Weatherill Brothers Marquees, based in Watton, Norfolk, are one of the UK’s best-known Marquee manufacturers. We’ve been making, selling, and hiring Marquees for many years and we’ve developed a great reputation for quality and customer service. We’re a company who can trace our roots back to the 1800’s. Since the 1950’s we’ve been involved in the Marquee business. We’re not a ‘here today, gone tomorrow’ business, we know everything about the industry and we’re here to stay. You don’t stay in any business for this long and become one of the industry leaders without developing a great deal of knowledge. We can suggest things that work and help them make the correct choices. We’ll do everything in our power to make your event go smoothly. We’ll deliver and set up, working to your schedules, and we’ll take everything away after the event. We can even provide attended service if you want extra peace of mind. 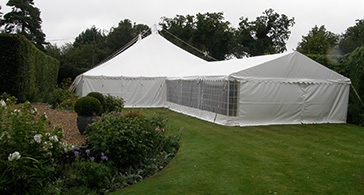 Get in touch with Weatherill Brothers today on 01953 882 394 and let’s talk about Marquee hire.